Naomi Fukumori received her A.B. from Harvard University and her Ph.D. from Columbia University. She is a specialist in Heian (794-1185) and Kamakura period (1185-1333) court literature (poetry and prose), with particular interests in issues of women’s writing; history and narrative; and the dynamics among patronage, literary practice, and canonization in premodern literature. 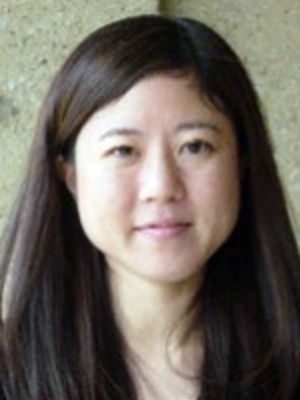 She is currently finishing a manuscript, provisionally entitled Sei Shônagon’s Pillow Book and the Poetics of Amusement, on the 11th-century “miscellany” written by a lady-in-waiting to an empress (forthcoming from Cornell East Asia Series). Her second book project investigates the literary functions of ritual and ceremony in mid-Heian period texts such as The Tale of Genji, bringing together ritual, performance, and narratological theories to explore scenes of complexly structured meaning in courtly narratives. Fukumori teaches undergraduate and graduate courses in premodern Japanese literature and culture, East Asian women’s writing, and Japanese American literature.